When people think of a Bali holiday the first thing to come to mind is definitely the beach. White sands, a piercing heat from the sun, cocktails in hand, feet in the pool. However, slowly perceptions have changed and Bali is not only being pictured for the blue of the sea, but for the green of its landscapes. 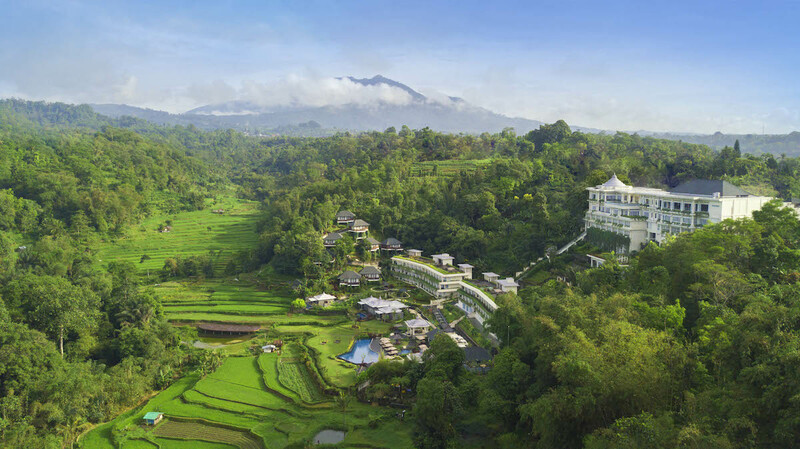 This is precisely where you’ll find Saranam Resort, a mountain resort surrounded by the green of Bali . If you travel north for around 2 hours from the south coast, you’ll find yourself in Bedugul, Bali’s ‘highlands’. Here, the air changes; it is cooler, crisp, the kind of air that mists in the morning and rises in a soft cloud when the sun rises. Bedugul, home to both Lake Bratan (and its associated temple) and also the Bedugul Botanical Garden, is a haven for nature lovers. Everywhere around you is hillside or forest, often the larger Bali mountains towering in the background. 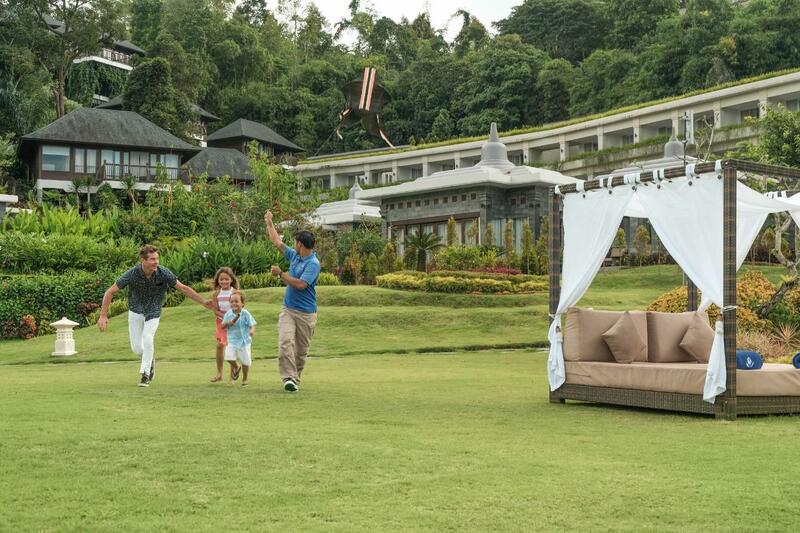 Here, enjoying its very own valley in Bedugul is Saranam Resort Bali and Spa. Cascades steeply down one of the main ridges travelling north: its top-floor lobby offers wide-ranging vistas of the mountains, whilst its ground floors brings you up-close and personal with surrounding rice paddies. Here, encapsulated in a private slice of highland heaven is where you can find real escape, a retreat from the outside world. Other than being blessed with perfectly natural surroundings, the resort itself has some amazing offerings. Available stays include modern, comfortable Deluxe Rooms, Saranam Rooms and a Deluxe Family Room; whilst their villa offerings include One or Two Bedroom Villas with Private Pool or their Hilltop Villa for those who love waking up to a view. All of the rooms look out to the green beyond, and feature modern facilities including high-speed internet. The resort also houses 3 food and beverage venues, including L’Altitude Restaurant, aptly named for its views from above; The Lobby Lounge, a cozy spot to enjoy tea or happy hour; and Cafe Toya, found at the lower ground level, overlooking the resort’s rice paddies. However Saranam Resort prides itself in their wellness offerings too. 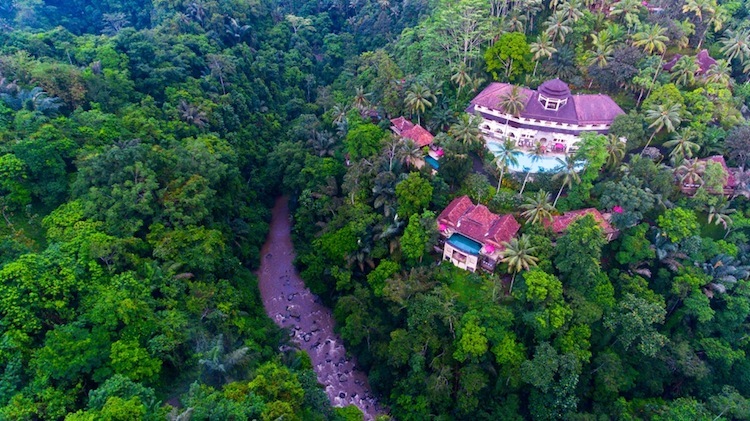 You can take advantage of personalised retreat programs based on traditional Balinese and Buddhist healing rituals, or experience dedicated meditation sessions at their studio and take-part in Yoga sessions twice a day. Their spa features a full menu of contemporary treatments. You can even try detoxifying packages complete with a personalised dietary plan using products from the resort’s own farm. For those holidaying with families, other than family-friendly rooms, the resort also has a range of children’s activities. The kids club here offers everything from arts and crafts, to cooking classes to making traditional Balinese offers – although you’ll have to get them out of the swimming pool, which they’re likely to be enjoying most of their time. 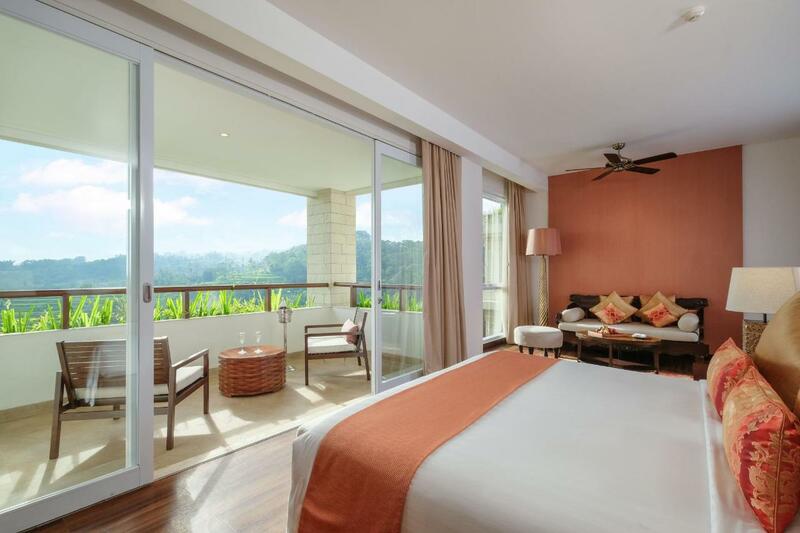 So whether you’re in need of a family holiday, a real retreat from everyday life or perhaps a romantic getaway, Saranam Resort in Bali’s highlands is sure to tick all of the boxes.